SILC meets at DARS for quarterly business meeting. Constituents rallying the Virginia section of the march to the Capitol. Constituents showing off their signs before the march to the Capitol. The Statewide Independent Living Council (SILC) is an independent planning body working with the Centers for Independent Living (CILs) and Department for Aging and Rehabilitative Services to increase the impact of Independent Living (IL) services in Virginia. The SILC is composed of gubernatorial appointees who represent people with significant disabilities across the state, the interests of CILs, and Independent Living programs and services. We are responsible for the development and implementation of the Statewide Plan for Independent Living (SPIL). The SPIL, which is required by Section 704 of the federal Rehabilitation Act, is updated on a triennial basis and delineates specific objectives and timelines for ensuring that the Commonwealth is providing the appropriate planning, financial support and coordination, and other assistance to appropriately address the needs of citizen with disabilities for independent living services. leading to full inclusion and independence in the Commonwealth. 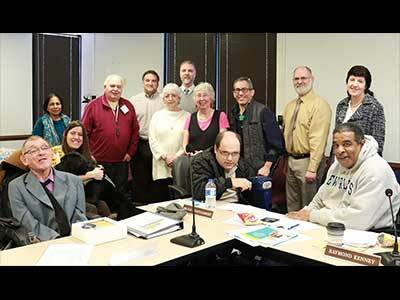 Virginia Statewide Independent Living Council: The Commonwealth's catalyst for inclusion of people with disabilities. The purpose of the Statewide Independent Living Council is to develop a three year State Plan for Independent Living, facilitate the goals and activities within the Plan and distribute Rehabilitation Act Title VII, Part B funds allocated by Congress. The funds are distributed to Virginia through a Federal Formula Grant. The State Plan is revised every three years, but is continually monitored by the SILC. Public input into the planning efforts is welcomed at any time by contacting the SILC Administrator. Virginia is one of 45 states participating in the $4 billion Money Follows the Person ("MFP") Demonstration project funded through 2020 (see Medicaid.gov for more information). This program is designed to create a system of long-term supports that assist individuals to transition from certain long-term institutions into the community. This project supports Virginia's Olmstead initiative and complements the efforts of the 5-year Systems Transformation Grant that aims to improve the infrastructure for community long-term supports. Virginia's MFP project, administered by the Department of Medical Assistance Services, is currently making over $31 million in federal Medicaid funds available to support Virginia's older adults and individuals with disabilities. For more details and the most current information on the MFP project, please visit http://www.dmas.virginia.gov/Content_pgs/ltc-mfp.aspx. One of the functions of the Office of the Secretary of the Commonwealth is to assist the Governor in his appointments of over 4,000 individuals to serve on Virginia's boards and commissions. That Office is deeply committed to the principle of including all segments of the Commonwealth's population into government, because this is what makes the theory of self-government a reality. Attendance at all assigned Council and Committee meetings, which are held at least quarterly and at various locations across Virginia. Some overnight travel is required. If you wish to serve on the Statewide Independent Living Council, or recommend qualified candidates to serve, please visit http://www.commonwealth.virginia.gov/. For a list of current vacancies or if you have any questions, please contact Lauren Snyder Roche, SILC Administrator. Centers for Independent Living, often referred to as "CILs" are non-residential places of action and coalition, where persons with disabilities learn empowerment and develop the skills necessary to make lifestyle choices. Centers provide services and advocacy to promote the leadership, independence, and productivity of people with disabilities. Centers work with both individuals as well as with the local communities to remove barriers to independence and ensuring equality of persons with disabilities. Centers provide services to individuals with disabilities as well as to the local community at large. Core services to individuals, provided by all Centers include Information and Referral, Peer Counseling, Independent Living Skills Training, Transition services, and Individual and Systems Change Advocacy. Services to the community include disability awareness, technical assistance regarding accessibility and legal issues, as well as general disability related information. Where are Centers in Virginia? The seventeen Centers for Independent Living are located in Norfolk, Hampton, the Eastern Shore, Richmond, Fredericksburg, Arlington, Manassas, Charlottesville, Winchester, Rocky Mount, Roanoke, Lynchburg, Abingdon, Grundy, Harrisonburg, Norton, and Christiansburg. There are three satellite Centers for Independent Living, in Petersburg, Ashburn, and Gloucester. Directory of Centers for Independent Living in Virginia. How are Centers for Independent Living funded? Centers are non-profit organizations, which are funded by state, federal, local and private dollars. Part C of Title VII of the Federal Rehabilitation Act provides general operations money for CILs in Virginia in the amount of over $1.5 million dollars. Additional funds under Title VII, Part B of the Act are granted to Centers under the State Plan for Independent Living. The Plan, which is jointly developed and signed by the Statewide Independent Living Council, Center for Independent Living Executive Directors, and the Virginia Department for Aging and Rehabilitative Services, provides Part B funds to Centers for systems change activities. General fund dollars for Center operations and Youth Transition Services currently exceed $5 million dollars. A portion of the State General Fund dollars were used to expand Centers for Independent Living during the last five years. Centers also solicit local and private funding to meet service needs which have been identified at the local level. Centers for Independent Living are created through the efforts of local people with disabilities, their family members, friends, and other interested persons. As people become organized, they begin to assess the local needs, level of local interest and support for a Center. Successful establishment of a Center for Independent Living often depends on networking, personal involvement, coalition building, and a commitment to the empowerment of persons with disabilities. Below, you will find a downloadable list of all our meetings, current and the most recent year. Additionally, you can download copies of all minutes, organized by committee. There are also links for other SILC documents, such as our State Plan and Policies & Procedures Manaul. You can move through the items using the previous and next buttons, or you can do a keyword search, which will search the full text of all of our downloadable documents. In 1992, Section 705 of the Federal Rehabilitation Act authorized the creation of the Statewide Independent Living Council. The act required each state to establish a SILC within one year of the date of enactment. Virginia's response to this federal law was enacted in 1994, as Part A of the legislation and resulted in the development of the first Virginia SILC. In 2006, Parts B and C were added to the state code further defining the SILC fiscal responsibilities under Virginia law. Following the composition and term requirements outlined in the federal mandate, the gubernatorial appointees for the first SILC were assigned staggered terms beginning with the federal fiscal year October 1993 - September 1994. The composition requirements outlined in the initial act continues to direct the membership roster of the Virginia SILC. The mandate states that the membership shall remain at or above 51% of people who represent a broad range of significant disabilities and are knowledgeable about CILs and IL services. Since 1995, the State Plan for Independent Living (SPIL) has been written by the SILC. As mandated in section 704 of the Rehabilitation Act, the SPIL is written in three year increments and delineates specific objectives and timelines for ensuring that the Commonwealth is providing the appropriate planning, financial support, coordination and other assistance to adequately address the IL service needs of the citizens with disabilities. One of the priorities of the SILC has been program support and advocacy in the development of Centers for Independent Living (CILs) throughout the Commonwealth. Through the SPIL, programmatic funds have been made available to assist the current sixteen (16) CILs and the four (4) satellites to address IL advocacy needs. 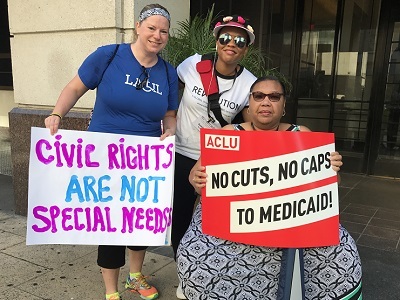 These community based CILs have afforded localities the opportunity to address the specific IL needs of an area and to develop an active advocacy coalition at the local and state level. The SILC, the states' designated state units, which in Virginia are the Department of Rehabilitative Services (DRS) and the Department for the Blind and Vision Impaired (DBVI), the CILs and all parties affected by the IL philosophy, work together to formulate the focus for each SPIL. The following is an overview of Virginia's SPIL from its inception in 1995. The SILC funded the Community Action Specialist (CAS) project designed to continue building coalitions and consumer advocacy groups at the local level, training consumers, and advocating for both system-wide and local change. the Warren G Stambaugh Foundation donated funds to the SILC which necessitated the development of the Statewide Independent Living Fund (SILF). This fund was established to allow the SILC to accept grants, gifts, donations and bequests on behalf of the Council from any source and to deposit all monies into the fund. The SILC worked with the network of the CILs and the DSUs to review and identify gaps in independent living services in geographic regions of Virginia not served by a CIL. A series of town hall forums were held in Planning Districts 9 (lower part), 13 and 14. The SILC worked in conjunction with the Office of Community Integration and various community partners to assist in implementing the initiatives identified Cross Governmental Strategic Plan. Part B Funds were awarded to the CILs in systems change advocacy, addressing the local level needs of individuals transitioning out of institutions in housing, transportation and personal assistance services. The SILC promoted the ongoing education and compliance with the Americans with Disabilities Act and other major disability rights laws. Working with the Virginia Department of Housing and Community Development, the SILC investigated the feasibility of obtaining federal certification of the uniform statewide building code. 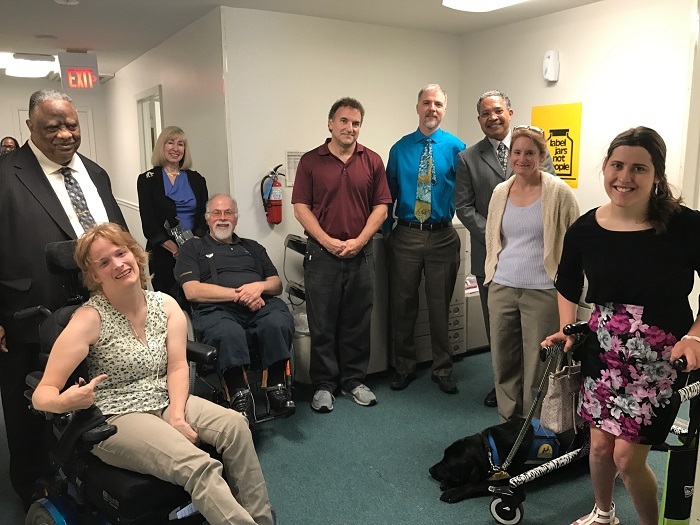 The SILC awarded Part B funds to the disAbility Resource Center in Fredericksburg to provide guidance and mentoring to consumer groups in the lower part of Planning District 9, a geographically unserved area of Virginia. This area encompasses Culpeper, Madison, Orange and Rappahannock Counties. For a final SPIL cycle, Part B Funds were awarded to the sixteen CILs for systems change advocacy, addressing the local level needs of individuals in housing, transportation and personal assistance services including support service providers, to ensure a smooth transition into community or allow someone to remain in the community. The SILC reviewed the accessibility of key state websites to ensure compliance with Title IV of the Telecommunications Act, and sought collaboration activity with state agency heads and webmasters, while advocating for equal access for individuals with disabilities. The SILC was a sponsor of the 2015 IL Conference which included a celebration of the Virginians with Disabilities Act and the Americans with Disabilities Act (ADA). Approximately 260 individuals attended this event, including CIL staff, consumers, SILC members, service providers and Governor McAuliffe. Each year several current and former SILC members join the CIL network at the Virginia General Assembly for IL Day, to meet with their respective state legislators to advocate for funding support of the CILs and to educate them about the potential effects of legislative decisions on the lives of individuals with disabilities. SILC members regularly attend the Annual Conference on Independent Living in July of each year. 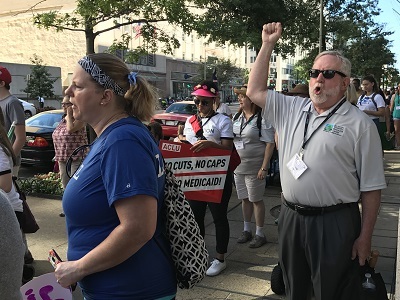 The conference provided the opportunity for members to attend workshops, network with other IL advocates on a national level, march to the U.S. Capitol and shape the future of independent living. The following list of agencies and organizations has been compiled by the Virginia SILC in an effort to help consumers easily locate resources that may be of assistance in their daily lives, and in achieving and maintaining Independent Living. By clicking on the links you are leaving the Viriginia SILC website. Virginia SILC is not responsible for the content and privacy policies related to the site. All external links will open in a new tab or window. Deaf and Hard of Hearing Services Center, Inc. Independent Living (IL): A philosophy which includes consumer control, peer support, self-help, self-determination, equal access, and individual and systems advocacy. These qualities maximize the leadership, empowerment, independence, and productivity of individuals with disabilities. The optimal goal is the integration and full inclusion of individuals with disabilities into the mainstream of American society. Statewide Independent Living Council (SILC): An independent planning body working with the Department of Rehabilitative Services, the Department for the Blind and Vision Impaired (DBVI) and the Centers for Independent Living (CILs) to increase the impact of independent living services in Virginia. The SILC is composed of gubernatorial appointees who represent people with significant disabilities from across the state, as well as, the interests of other independent living programs and services. The state qualifies for federal IL funds because of the existence of the SILC and the SILCs federal mandate to develop a three year State Plan for Independent Living (SPIL) which outlines IL priorities and identifies IL needs for the Commonwealth's citizens. Centers For Independent Living (CILs): A non-residential place of action and coalition, where persons with disabilities learn empowerment and develop the skills necessary to make lifestyle choices. Centers provide services and advocacy to promote the leadership, independence and productivity of people with disabilities. Centers work with individuals, local communities, government agencies and the SILC to remove barriers to independence and to ensure equality of persons with disabilities. We are very interested in hearing from you. If you have any comments on this website or anything related to this Community Integration Initiative, please feel free to contact us.